Mary Berry brought out another new cookbook and a new series and I didn't even know!! I caught the second episode on BBC1 on Saturday there. I then went out to buy the book and realised before I left the house that I had bought it a couple of weeks ago and I didn't even realise it was to do with her new series!! 1. 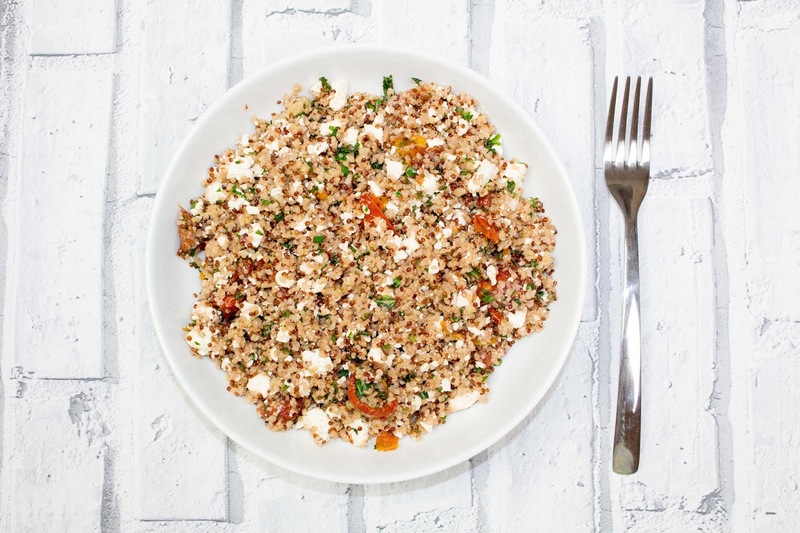 Measure the mixed bulgar wheat and quinoa into a saucepan, pour in 500ml of water and cover with a lid. Bring to the boil, then reduce the heat and simmer for 15-20 minutes - or according to the packet instructions. Remove from the heat and leave for about 10 minutes or until render and all the liquid has been absorbed. Top into a bowl and allow to cool. 2. To make the dressing, place the lemon juice and zest in a bowl or small jug, add the pomegranate syrup, sugar and olive oil and whisk together. 3. Place the 1 tablespoon of olive oil in a frying pan, add the onion and fry over a medium heat for 5-6 minutes. Tip into the bowl with the bulgar wheat and quinoa. 4. Add the sun-blushed tomatoes and herbs, season with salt and pepper and toss together. Pour on the dressing and mix well. 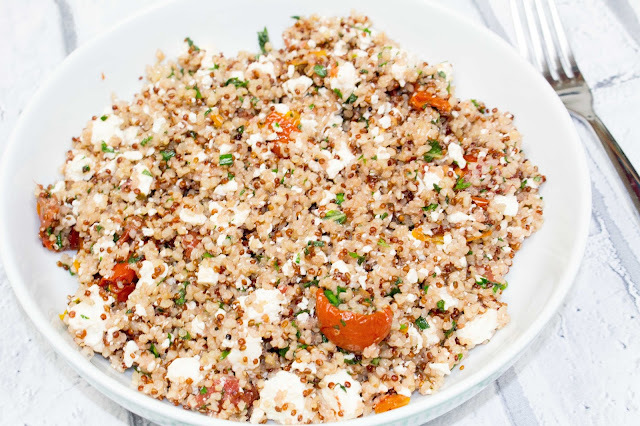 Gently stir in the feta and pomegranate seeds (if using), then check the seasoning, adding more salt and pepper to taste. Note: I couldn't find any pomegranate syrup in Tesco when I bought the other ingredients, so following Mary's tip - I bought pomegranate juice and then boiled it in a saucepan until it reduced to a thicker, syrupy consistency.